Mask wipes, mask strap pads and custom CPAP pillows are popular and effective comfort items. 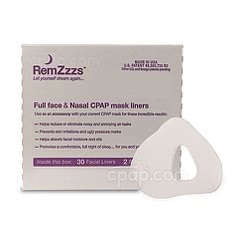 Each of these items are crafted especially for CPAP therapy, often by CPAP users themselves. The mask wipes are made from natural, fresh smelling ingredients and they do not break down the plastic decreasing the life of your mask. Mask wipes are safe for every day cleaning and are often used to prolong time between thorough cleaning. 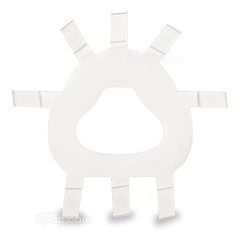 Mask strap pads decrease skin irritation caused by contact from mask straps. CPAP pillows allow CPAP masks to "hang off" the pillow during sleep, which reduces or prevents torquing and mask leak. How do I reduce mask leaks due to facial sweating? Excessive facial sweating can affect the performance of most silicone CPAP masks. As sweat builds between the cushion and your face, the cushion walls tend to break seal and burp or squeal out escaping air. 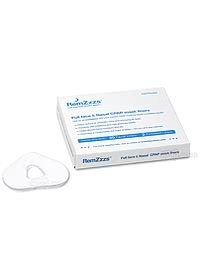 The RemZzzs Padded Liners are made from a special blend of natural fibers that help to prevent leaks and irritation, while absorbing facial oils and moisture. 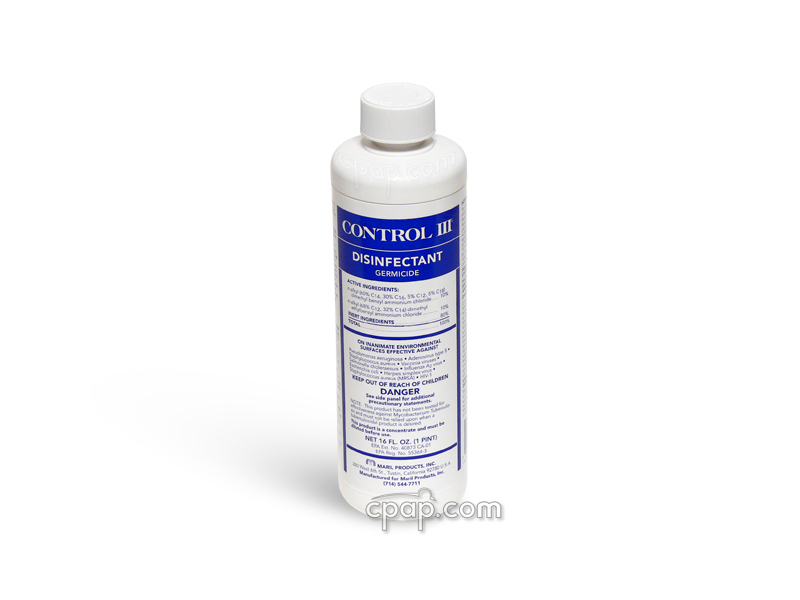 What is Control III Disinfectant Germicide? This is a hospital grade germicide and disinfectant. It contains an extremely effective formula that has two unique quaternary compounds that act as a broad-spectrum disinfectant. Is Control III used extensively for respiratory therapy home care? 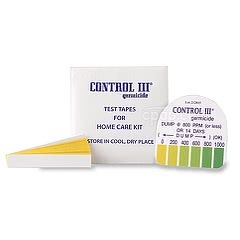 Nationally, Control III is the trusted product of choice for disinfecting home care respiratory supplies and equipment. Why would I want to insulate my CPAP hose? Cool air holds less moisture than warm air. If warm air from a heated humidifier cools while moving through the CPAP hose, water will condense inside the hose rather than travel to the user. 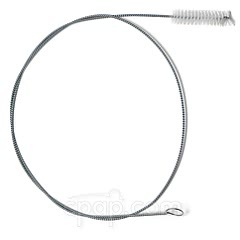 The condensation that accumulates inside the CPAP hose is referred to as "rainout." Insulating the CPAP hose will help maintain the moisture in the airflow all the way to the mask. How will The Bedfan stop my night sweats? 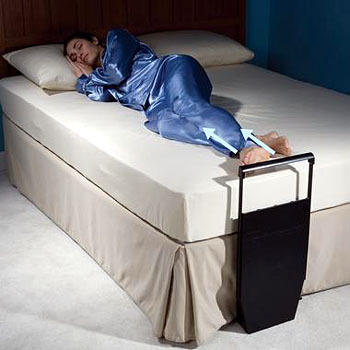 Night Sweats generate significant heat that causes extreme sweating while you sleep. The Bedfan helps to cool down your body with a constant, gentle flow of air that lowers the temperature of your body and reduces unnecessary sweating. 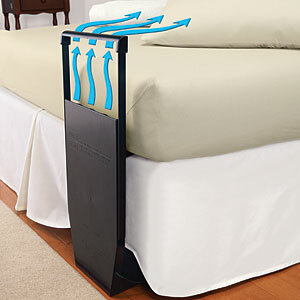 Dr. Oz recommended The Bedfan for help reducing night sweats. 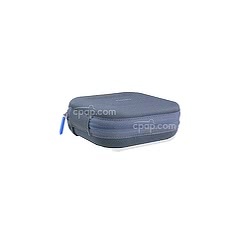 What is the Lumin CPAP Mask and Accessories Cleaner? 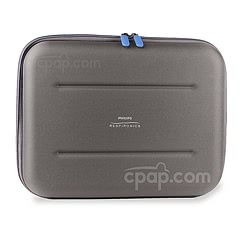 The Lumin CPAP Mask and Accessories Cleaner is a no-mess, easy way to sanitize a CPAP mask and accessories. The Lumin uses a five-minute cycle of disinfecting UV light to kill bacteria. No harsh chemicals required. 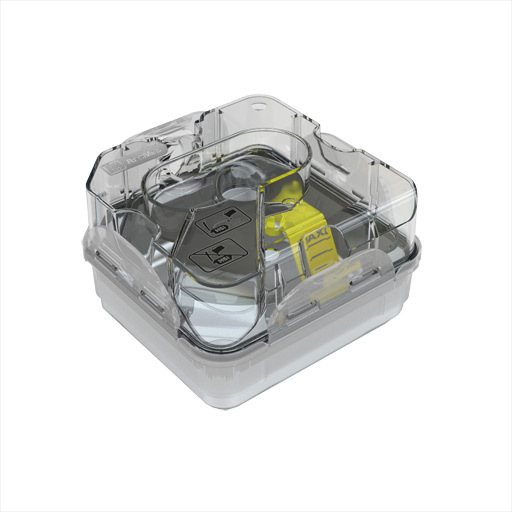 During sanitization, the items are closed inside of a failsafe chamber, ensuring there is no exposure to the UV light inside. In five minutes, the items are sanitized and can be returned to use. 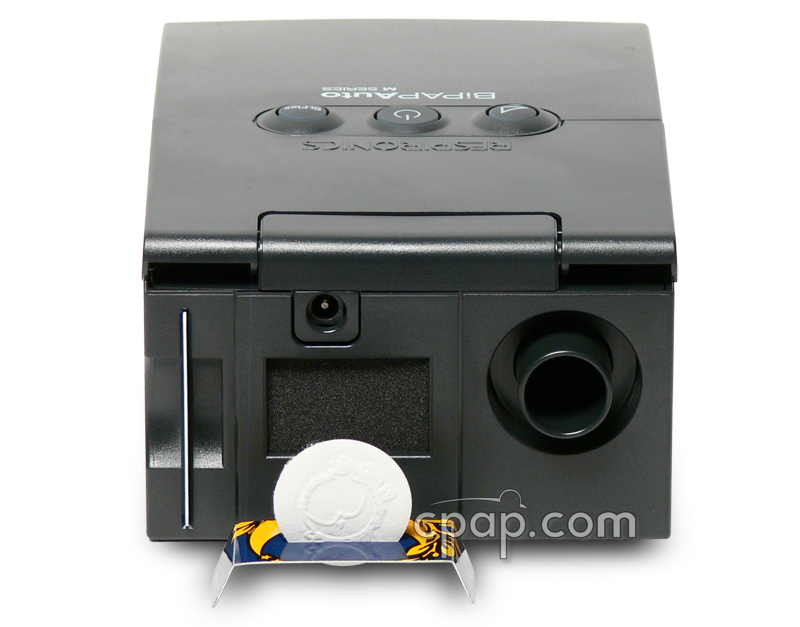 For anyone tired of meticulously cleaning CPAP equipment, the Lumin is an excellent choice. How Do I Clean the CPAP Humidifier Tank? 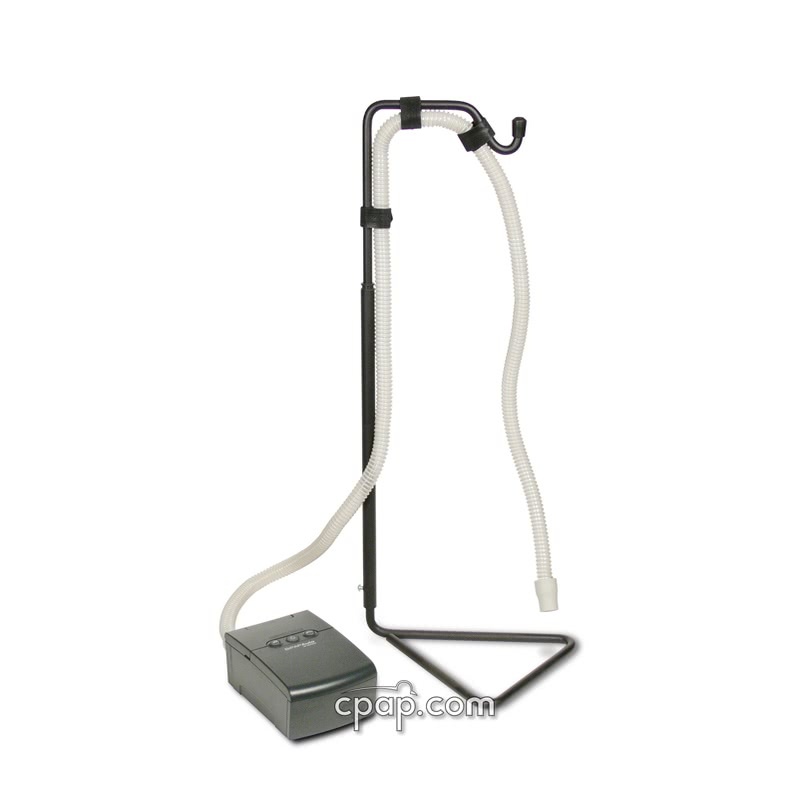 Cleaning a CPAP humidifier tank (also called a CPAP humidifier chamber) is reasonably straightforward. Mild soap and water can be used for most cleanings. The humidifier chamber should be cleaned at least once a week, with a deep cleaning once a month. If there are mineral deposits at the bottom of the tank, clean it using a mixture of vinegar and water. Mineral deposits form at the bottom of a humidifier tank every time the tank is filled with tap water. Tap water has added minerals and other chemicals to improve taste and make water healthier to drink. When using humidification with a CPAP machine, the water in the tank slowly evaporates. When it's all gone, the only thing left are the minerals and chemicals, forming a hard, chalky film at the bottom of the humidifier. This substance is not easy to clean and will require some scrubbing. By making one easy change, it's possible to avoid having any deposits form at all. Using distilled water (water which has all the minerals and chemicals removed), helps maintain a cleaner tank and reduces the chances of that chalky film buildup. If distilled water becomes part of a regular regimen, there will be less cleaning required (maybe only once a week), and the CPAP equipment will last longer. Cleaning a CPAP humidifier tank is an important part of daily therapy, and is a great way to help improve the longevity of your device. How Do I Disinfect the CPAP Mask and Hose? Disinfecting a CPAP mask and hose isn't as difficult as one might think. It's a fairly straightforward process that will help prolong the life of any device and will go a long way to improving overall health. Disinfecting a CPAP mask is fairly easy. Many people clean their mask with mild soap and water, but there's a chance you won't be able to kill all the germs. For a total clean, we recommend using a product like the Lumin CPAP Cleaner. The Lumin CPAP Cleaner uses sanitizing UV light to kill all bacteria in around 5 minutes. The Lumin isn't a dishwasher, and doesn't use water, clean, or scrub. The Lumin works by using powerful UV light to quickly and quietly sanitize the surface of a CPAP mask, killing 99.9% of all germs. Any deposits on the surface of the mask will need to be cleaned by hand. 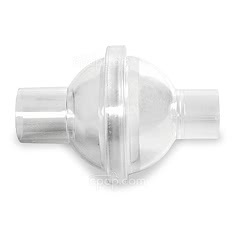 For hoses, a solution of vinegar and water is needed, and should be run it through the length of the hose to disinfect the interior of the CPAP hose. Hang over a towel rack to drip dry. Make sure the equipment completely drips-dry before using again. Exposing damp equipment to the moisture coming from a CPAP machine can cause the formation of mold and promote the growth of bacteria. Consider using a tube brush to remove any deposits that may be stuck in the hose. It's also recommended to consider cleaning the interior of your hose with mild soap and water, which is also an alternative if no vinegar is available. How Do I Dry My CPAP Hose? Drying a CPAP hose is tricky, because of it's length and the narrow width of the ends. Never stick paper or cloth into the CPAP hose while trying to dry it. The paper can tear and get stuck in the hose. When this happens, humidity from the machine can turn the paper into a breeding ground for mold or germs. If this happens, the hose has to be replaced, as it would be polluting the therapy air with spores and bacteria that can make a person really sick. The best way to dry the hose is by hanging it over a towel rack with both ends pointing down. Over the course of a few hours, the water will drain out completely and hose will naturally dry on its own. When ready to go to bed, shake the hose gently and see if any water drips out. If so, allow the hose to dry completely before the next use. Machine filters must be replaced regularly. Many cleansers are not silicone safe, which means they can cause your mask to break down more quickly. We recommend Control III Disinfectant. 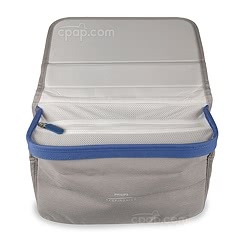 CPAP equipment should be kept clean to avoid health issues like colds. Lung Disease Linked to the Use of Contaminated Well Water in a CPAP Machine.